How We Found Our Way to the Track…. What could be better than making a career of a hobby? On the way home from a dirt race in October 1988, Bruce Silver, CEO and founder of RACING ELECTRONICS decided to place an advertisement in a local racing newspaper, advertising scanners to other race fans as Christmas gifts. It was a gamble but he was a race fan with a knack for gadgets and electronics. His goal was to make a product that would help other race enthusiasts have a more exciting race day experience. 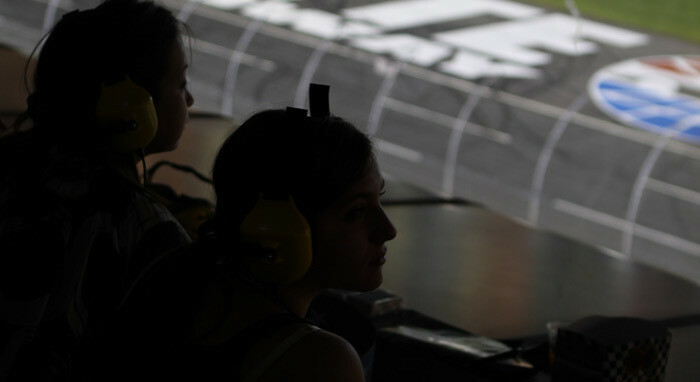 Mr. Silver’s love for auto racing quickly transformed from a hobby into a business. Shortly after starting with scanner sales, race teams were requesting In Car Race Communication equipment. In 1989 RACING ELECTRONICS started selling Race Communications equipment and today, the premier supplier in NASCAR, IndyCar, NHRA, ARCA and every sort of short track racing. The company began in Atlantic County, New Jersey in the Fall of 1988. In 2005, the company relocated to Concord, North Carolina USA to be at center of racing. RACING ELECTRONICS produces the headsets, wiring harness’ and other equipment in the Concord, NC facility and today we employ about 80 workers. We pride ourselves on the workmanship of our Made in The USA product and strive every day to improve in what we do. If you are in the “neighborhood” and would like to see how we manufacture the equipment, stop in anytime during normal working hours and we will gladly give you a tour. Today, RACING ELECTRONICS is the # 1 Race Communications Company Worldwide, our mission remains the same. Provide quality equipment and the right price with outstanding customer service.